Playing for Colombo Cricket Club, the 31-year-old took 10 for 37 to single-handedly bowl Saracens Sports Club out for 113 in the fourth-innings chase of 349. 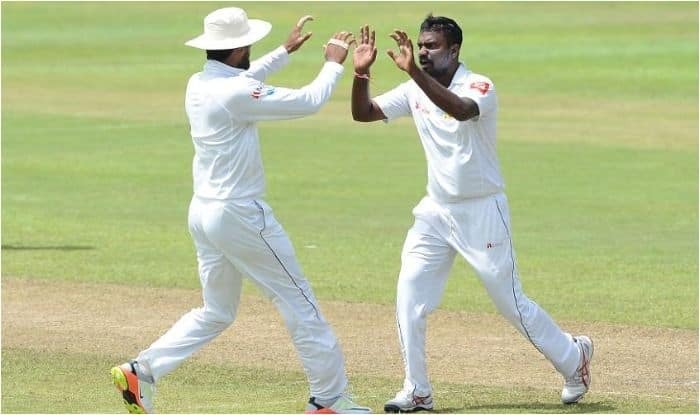 Sri Lanka left-arm spinner Malinda Pushpakumara has achieved the rare feat of claiming all ten wickets in a first-class match. Playing for Colombo Cricket Club, the 31-year-old took 10 for 37 to single-handedly bowl Saracens Sports Club out for 113 in the fourth-innings chase of 349 on Sunday. He also picked up a six-for in Saracens’ first innings and finished with match figures of 16 for 110. Courtesy Pushpakumara’s perfect 10, Colombo Cricket Club registered a massive 235 runs victory over Saracens Sports Club. Pushpakumara’s 10/37 have also become the best figures recorded since 1995, where Naeem Akhtar took 10/28 for Rawalpindi Blues against Peshawar in Pakistan, and the best-ever cemented in the history books by a Sri Lanka player. He became the first player since 2009 to notch a first-class ten-for – Pakistan’s Zulfiqar Babar the last man to dismiss an entire team unassisted, taking 10/146 for Multan against Islamabad. Pushpakumara opened the bowling in the second innings, having notched an impressive six-wicket haul in the first; his match figures eventually read 16/110. He bowled without change at his end for 18.4 overs, and also passed the 700-wicket mark in first-class cricket during the game. His impressive average of 19.19 and first class pedigree had prompted his international call-up last year, and performances such as this will only aid his bid to regain his spot in the Sri Lanka side.